We are very excited to present Archie Comics' debut title in the cartoon diary genre! Betty Cooper is embarking on her first year of high school. It's sure to be filled with ups and downs, but with her trusty diary by her side, she'll be able to get through it all. She's a smart girl with a kind heart, so her freshman year should be easy-peasy, right? Well, throw in some major BFF drama with her longtime pal Veronica Lodge and things get off to a rocky start. Veronica's rich, ruthless and snobby-the total opposite of Betty. And in high school where social status means everything, Betty and Veronica can't be the same besties they once were. Everyone's favorite girl-next-door is diving head first into her high school career and extracurricular activities-from dog training to peer mediation to BMX competitions, Betty Cooper can do it all-but can she get by without a little help from her friend? 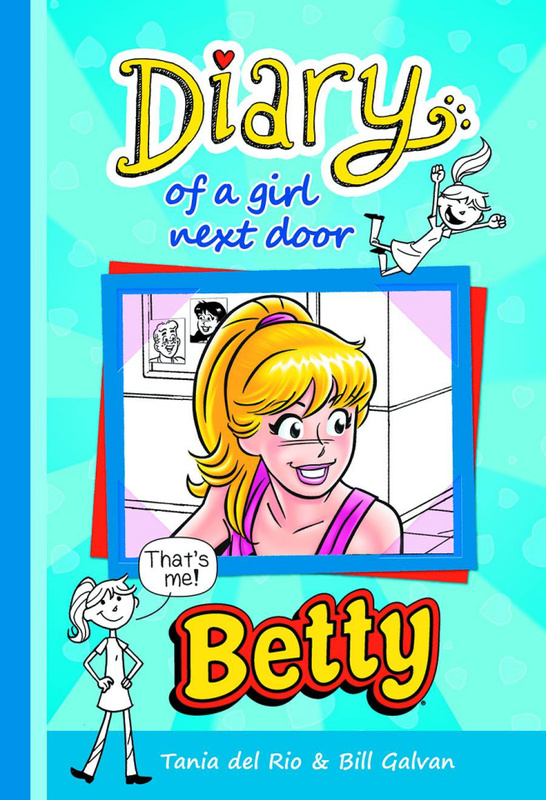 Find out in this heartwarming tale of the scariness that is starting high school in Archie's first-ever venture into the hugely popular journal series, with Diary of a Girl Next Door: Betty.